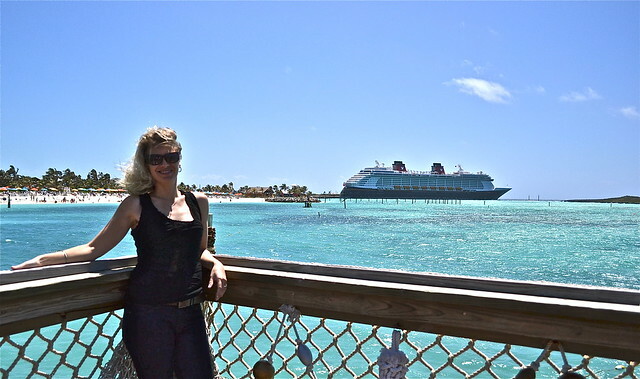 If Disney Fantasy Cruise out tops other cruises with luxury and fun, I have to say Castaway Caye in the Bahamas, a private island owned by Disney, really did it for me. Or maybe I was just lucky to have the most perfect day EVER! 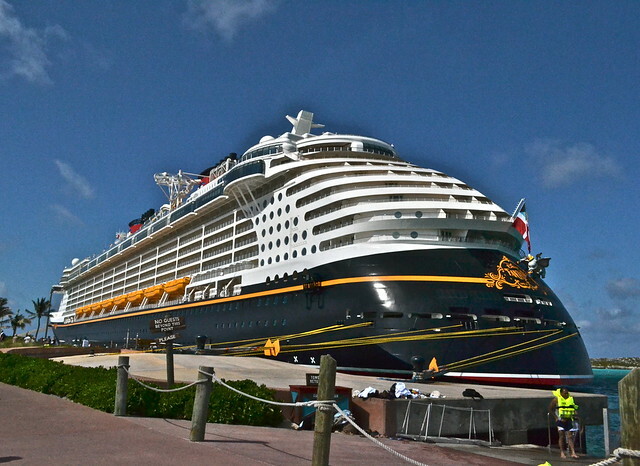 Watching the Cruise – I know this seems like a big – So What – but Oh My God! I can literally stare at this insane huge masterpiece for hours. It’s so hard to define what you see when you look at the cruise boat that you have just been sailing on for three days. It’s a completely different feel when you’re on it since you never really feel yourself being on a boat, as to when you look the the actual ‘City at Sea’ parked. Castaway Caye is split up into two many parts – for families you get to enjoy the front end of the island with white white sanded beaches with crystal clear waters and a kid’s waterpark. 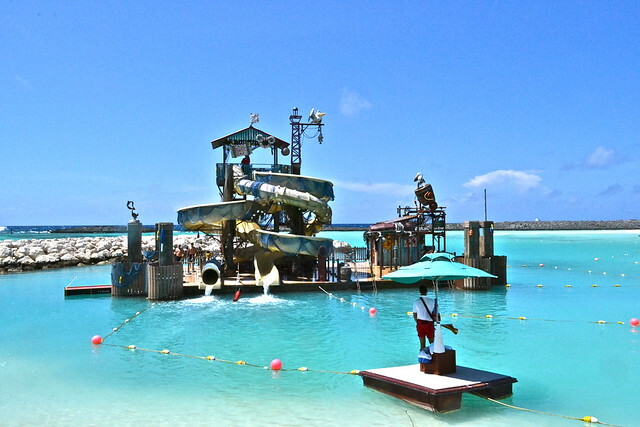 For adults – escape to Serenity Bay. It’s at the end of the island, best to take a tram without getting totally scorched by the blazing sun. And the great payoff, adults only beach, cocktails and tranquility. Pirates – Johnny Depp – Really? 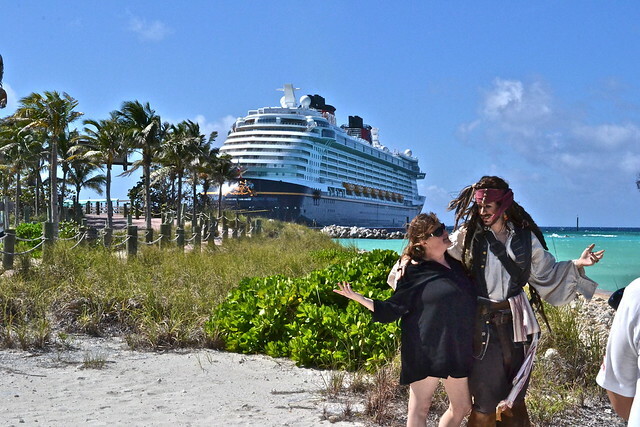 Well almost – you can get your picture taken with Jack Sparrow. He might not be Johnny Depp, but he’s a hottie nonetheless. 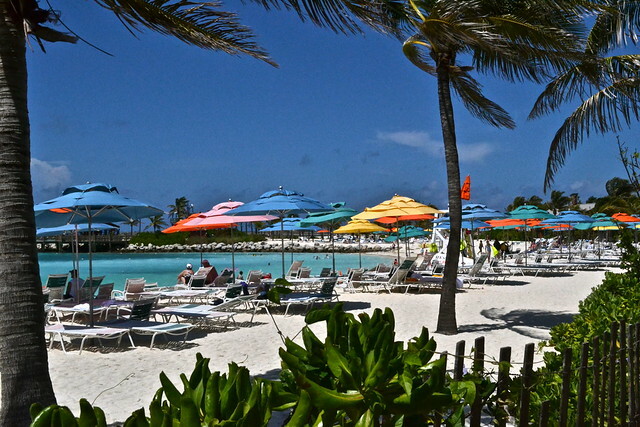 Sun, Sun, Beaches Fun – I’m not a big beach lover and even less of a sand lover. But being on the island and looking at the perfectly white sandy beaches and crystal clear blue waters – I kept wondering if this is nature at it’s best or did Disney have their hand in the perfection. One will never really know! 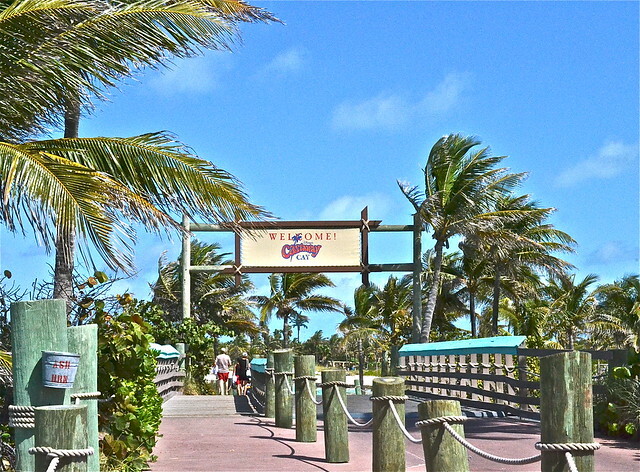 You spell it “Castaway Cay”.